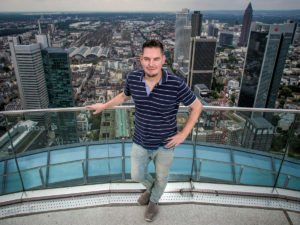 Using the high-rise building plan 2021, the City of Frankfurt wants to express its political opinion on how and where new skyscrapers are to be built in the future. Using this instrument investors and clients can better orient themselves. The planning department is currently working on updating the high-rise development plan 2000, which was updated in 2008. Based on these framework plans, it is currently possible to erect high-rise buildings at 16 possible locations. 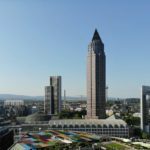 This includes an area to the south of the main train station, where a 180 meter tall tower is likely to be built, and an area at the fair, where the 365 meters tall Millennium Tower was onced proposed. 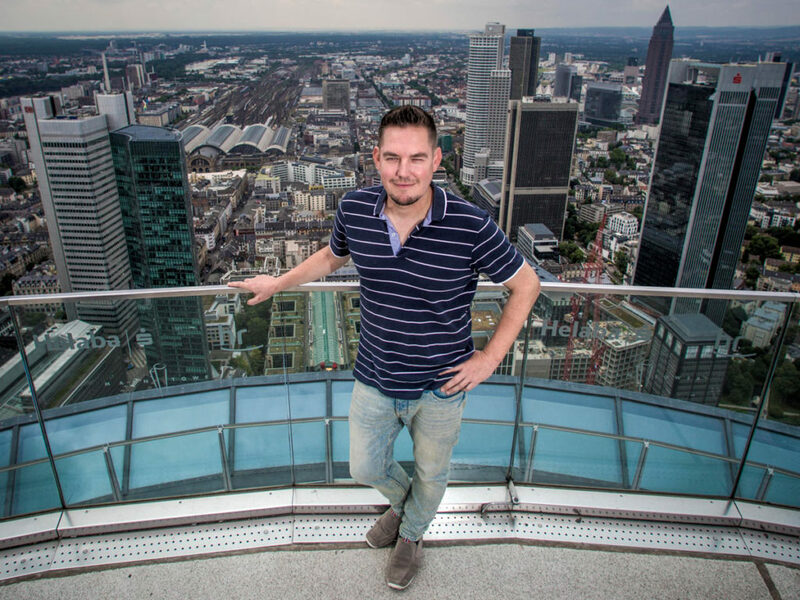 The Planning Department of the City of Frankfurt is preparing to update the high-rise development plan, which will also name locations where new high-rise towers can be built. So far, the city relies on high-rise clusters, each of which several towers over 60 meters in height can arise. Single-standing high-rise buildings are proposed to be the absolute exception. The next high-rise plan, whose submission was planned for 2018 and then 2019, will now be presented in 2021. According to the Planning Department, the new master plan should also identify where even high-rise buildings under 60 meters should not be built. This was necessary to “calm the city skyline” and to protect certain locations and neighborhoods from land speculation. It has not yet been decided, whether precise locations or rough zones should be proposed in the upcoming high-rise development plan. Project developers have opposed the designation of clear construction sites, as their value would otherwise rise sharply. In order to put a stop to land speculation, the City of Frankfurt had always opted for specific locations in the past. No decision was taken on this subject, says the Frankfurt Planning Department. However, this new skyscraper plan is legally not binding, as all skyscraper plans so far. Over the past few years, the City of Frankfurt has allowed a number of skyscrapers (see overview below) without these being ever mentioned in a high-rise development plan. This means: the high-rise building plan is nothing more than a political expression of the city (and especially those who formulate the plan) at a specific time. 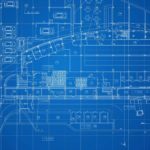 So why do some projects manage to be realized and others fail? Quite simply: there was a political majority for the approved project. This majority was either already present or it could be procured. Either there is great agreement about the project anyway (like with the new ECB premises) or the builder sweetens the city the “yes” decision by concessions, such as the construction of affordable housing. 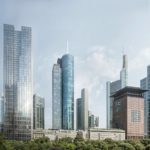 In the continuation of the current high-rise building plan, the City of Frankfurt reportedly does not want to allow new residential towers. In this regard, Planning Department head Mike Josef (SPD), who is also the leader of the high-rise building plan, has expressed himself at a symposium. Many new residential high-rises would be partially empty and thus withheld from residential use. These residential towers were mainly used by foreign investors as an investment and thus were no relief for the housing market. Mike Josef referred to the Henninger Turm, where many apartments in the evening are not lit up. For this reason, in particular, office towers and mixed-use skyscrapers are planned to be included in the revised high-rise development plan. Therefore no new locations for residential towers are expected in the new high-rise master plan. The first public event on the planned high-rise development plan is scheduled for 2019. Experts see the high-rise development plans as a double-edged sword: the idea of high-rise planning is fundamentally welcome, for example, to protect certain neighborhoods, but the implementation is not yet stringent. The problem is that certain locations can be cemented for decades and pass the requirements. The City of Frankfurt would be well advised not to limit itself to the number of skyscrapers in high-rise development plans, but instead put the often criticized quality of the architecture in the foreground. Tall buildings can be seen from all directions from afar. The people have earned an aesthetic, livable city and do not want to look at loveless concrete blocks, but experience a modern urban space. Therefore, the idea behind a high-rise development plan should be: the more innovative the architecture and the benefits to the public are, the more exposed the location and height of a skyscraper should also be. Among other things, Mike Josef wants to prevent speculation with the high-rise development plan. That is a noble goal. But why should it succeed in Frankfurt, where also London has failed. No lip service is needed, but a new kind of politics: the city does not need new residential areas here and there, but Frankfurt must finally meet its unofficial metropolis status. This also means that the state of Hessen (where Frankfurt lies in) and the Federal Republic of Germany must financially support the metropolitan function of Frankfurt much more than in the past.